Microlight / Ultralight / Hang gliding insulated bar mitts. Made from tough 4oz nylon outer material, thermal fleece lined with velcro fastening around the control bar. 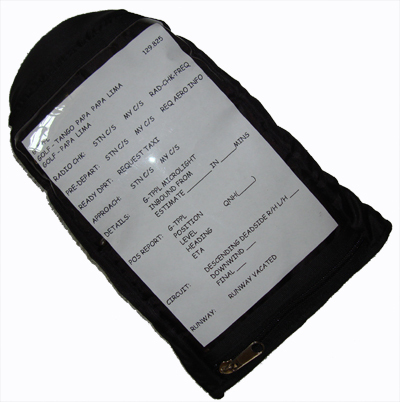 Zipped clear plastic pocket on back of both mitts to aid flight navigation, radio frequencies, notes, etc. In winter gloves may be worn inside the bar mitts for further warmth.